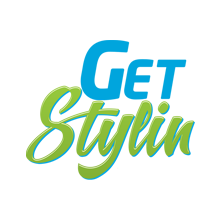 Get Styling today and get a custom case design for your phone and tablet. Stand out from the crowd and get a snap on case or a tough case to reflect your uniqueness! We spend a lot to get the phone and tablets to allow us to stay connected, why not protect your investment by getting a custom case design snap on or tough case for your iPhone, Samsung, HTC or Blackberry devices. Showcase your memories, interests, thoughts, ideas to the world through your very own custom case design. Our 1, 2, 3 and 4 step design system is simple and easy to use to get the style you want for your device with the comfort of knowing that your device will be protected with either our Snap on Cases or our Tough Cases. Snap on Cases allow you to maintain the shape and design of your phone as well as provide protection from scratches. They are easy to place on and remove from phone/tablet. Tough cases provide maximum protection to your device without losing the shape and feel of your device. These cases are great for higher impact protection as they act as a buffer to take the stress from the drop. Here at StylinCases we have a unique patented process that transfers a full-colour photo image to a specially-coated polyester substrate. It uses a combination of heat and pressure to sublimate the image from a dye sub transfer which then ‘dyes’ the product, yielding a crisp and clean full-colour image with no raised ink texture. The ink actually sinks into the case preventing it from fading or easily getting scratched. It is superior to the more-common and cheaper inkjet-printed cases that simply print ink onto the case. Get stylin and choose a custom case design to match your style!